On December 11th, Tragedy struck our squadron. Major Randy Patterson was killed in a single car accident on his way home from Leavenwoth, Kansas. He was truly loved and admired by all people who had ever met him. Below you'll find a little bit of information about this outstanding human being. I wish all people could be like him. Major Randall W. Patterson is a 384 Air Refueling Squadron, Flight Commander in the 22d Air Refueling Wing at McConnell Air Force Base, Kansas. Only one of only three active duty KC-135 special operations units in the United States Air Force and the only wing with the air refuelable KC-135. Major Patterson was born May 14, 1963, in Akron, Ohio. He graduated from high school in Rogersville, Tennessee, and completed his bachelor's degree in history at the University of Tennessee in Knoxville. He then completed his master's degree in aerospace management from Embry-Riddle Aeronautical University at McConnell AFB, Kansas. He finished Squadron Officer's School in residence in June 1994 and Intermediate Service School (ISS) by seminar in June 1998. He is a candidate to attend ISS in residence. Major Patterson received his commission in June 1986 through the University of Tennessee Reserve Officer's Training Corps and earned his navigator wings in June of 1988 at Mather AFB, California. He then served with the 97th Air Refueling Squadron at Eaker AFB, Arkansas as a KC-135 navigator where he became an instructor. 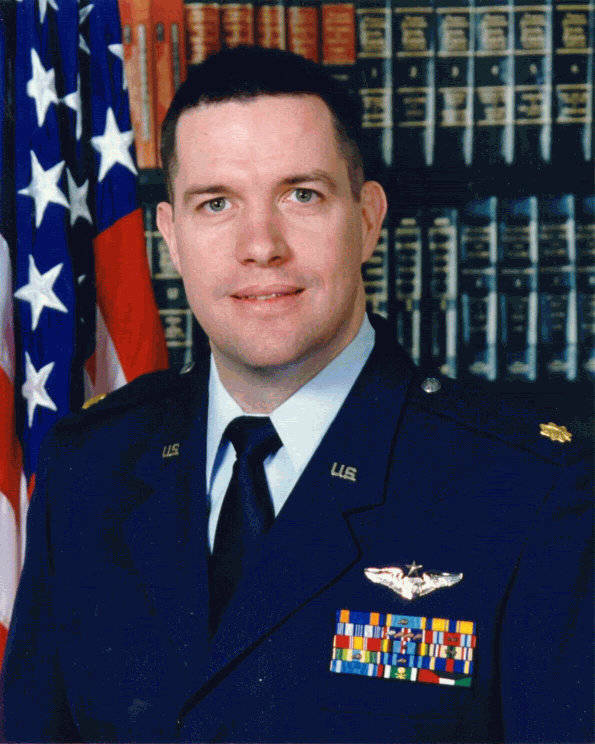 After serving in Operations: DESERT SHIELD/STORM, Maj Patterson was assigned to the 384th Air Refueling Squadron at McConnell AFB, Kansas. He served as a navigator, instructor navigator, training flight senior navigator, and evaluator in the KC-135 for all five operational models. He was selected as the senior evaluator navigator of the 22d Air Refueling Wing as "Team McConnell" increased its strength from one to four combat-ready squadrons, an associate reserve unit, and a C-12F flight. He than assumed command of AMC's premier tanker Special Operations Unit where he led 9 Joint Chiefs of Staff directed tanker exercise deployments and two real-world special operations deployments; the results of which are briefed to the President of the United States. Major Patterson is a senior evaluator navigator and has logged more than 3,000 hours of total flying time, of which over 480 hours are instructor/evaluator time. He has flown 117 combat and 200 combat-support hours during Operations: DESERT SHIELD/STORM/CALM, SOUTHERN WATCH, DENY FLIGHT, and RESTORE HOPE. His military awards include an Air Medal, Aerial Achievement Medals with an oak leaf cluster, a Commendation Medal, and an Achievement Medal. Major Patterson married the former Carol D. Ward of Nashville, Tennessee. They have five children: Adam, Valerie, Jennifer, Matthew, and Daniel.